We got to chat with Anette from the Lebenslustiger blog this week, about inspiration, goldsmithing, yarn, and the creative process. As a creative who is well versed not only in crochet, but also in photography and goldsmithing, how does it all fit together in your vision of a perfect home? Well, my actual trade and training is in design – I spend 4 years in University studying product design and have a degree as a designer. I then applied that training to my goldsmith work and later when I launched Lebenslustiger.com also to my photography in terms of light and form language and also in styling the objects of my shots. I now work for clients and have customers all over the world. I always had a passion for handwork, my favourites being crochet and knitting and I try to apply my sense of design and styling into my fibre work as well. To answer the vision of a perfect home question: I like to transfer the same aesthetic to my home decoration as well – as I often use our place as backdrop for my photography. I love natural materials like wood, leather and stone in combination with natural fibres – keeping it all simple and reduced but still really special. What was your first introduction to crochet and yarns – who taught you, and why? The women in my family were always doing handwork while I grew up. It was absolutely normal to see my mum crocheting or knitting every night after dinner and just a question of time and age until I picked it up and started to do it myself. I also had handwork in german elementary school. My grandma and my aunt were more into sewing and they made beautiful clothing. Where do you get your creative inspiration from, and what drives you to share it with the world? I am definitely inspired by certain moods, colours and forms from nature but also from my work with different materials – meaning that I get ideas for designing jewellery while working with fibres and vice versa. In all I do I rely on my aesthetic vision and therefore there are only products in my shops, that i personally love and would buy myself. I am happy to share my DIY’s, ideas and inspiration to my readers worldwide as my blog is also my portfolio to show potential customers and clients what I do! Oh that is a difficult question! I actually like all the different areas of my creative work and most of the time it’s fun and inspiring to jump from one project to another. Of course, it can also get quite chaotic at times but I guess I need the variety to keep me going and interested as I can be slightly impatient. My photography is the part that blends it all together and makes me really happy. If you were a yarn, what would it be? harmful pollutants in the air and can bind too much moisture to help with healthy room climate. It is also sound-absorbing, non flammable and naturally dirt resistant because of its lanolin content. Some also say wool has healing properties because of the favorable ion exchange. Pure wool is precious and special care is necessary to keep its beauty for a long time. So – it’s probably not something for everyone but those who value wool will love it forever! Thanks, Anette! Click here to head to the Lebenslustiger blog to check out more of her DIYs and inspiration! 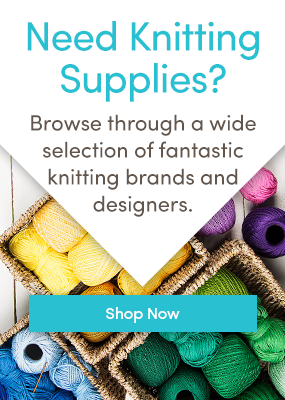 Keep in touch with LoveKnitting – follow us on Bloglovin’!